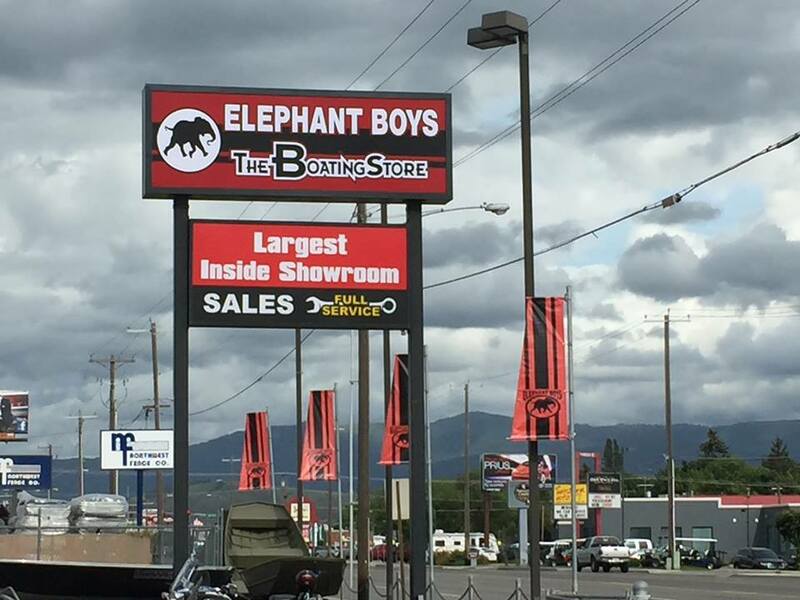 Stop by and get to know the Elephant Boy Family. Come in and visit the Bargain Pond !! The prices are much better then on line pricing. Click here to visit the Bargain Pond!! 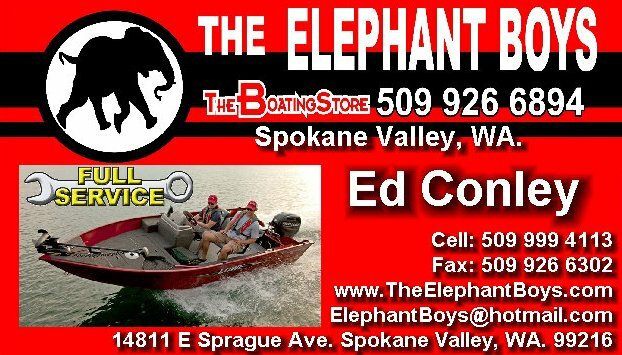 We offer a full service repair shop as well as best prices and largest selection of all your boating needs. Fish Locators, Radios, Down-riggers, Trolling Motors, Wake-boards, Kayaks, Canoes, Life Vest, Jackets, Boat Seats, Trailer Supplies, Boat Covers, Fenders, Ski and Tow Ropes, Paddle Boats, Knee Boards, Bimini Tops, Plus all your Boating Needs. The best buy is the boat that best fits your needs. And don't worry about getting a pressure sales pitch, we'll all be busy joining in the fun by renewing old acquaintances and making new friends, all while showing off our new line-up of boats with Evinrude and Mercury outboards. The best buy is the boat that best fits you needs. We want to help. Remember changing outboard power to fit your needs is no problem. Freight, Rigging, Prop, Battery and most Dealer pricing does not. Idaho, Oregon, Montana, British Columbia, Alberta.